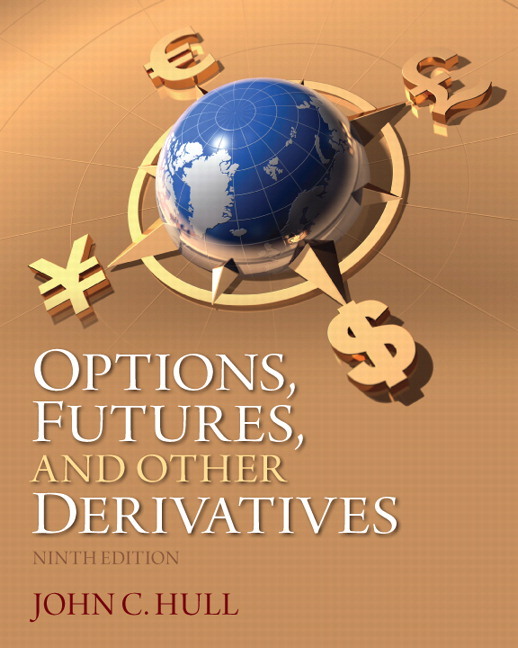 The Options Calculator consists of easy-to-use software for valuing a wide range of options. The Applications Builder consists of a number of Excel functions from which users can build their own applications. It includes a number of sample applications and enables students to explore the properties of options and numerical procedures more easily. It also allows more interesting assignments to be designed. The new version of the software includes a worksheet to illustrate the use of Monte Carlo simulation for valuing options. One-factor equilibrium models of the term structure. Several hundred PowerPoint slides can be downloaded from Pearson's Instructor Resource Center or from the author’s website. Textbook adopters are welcome to adapt the slides to meet their own needs. 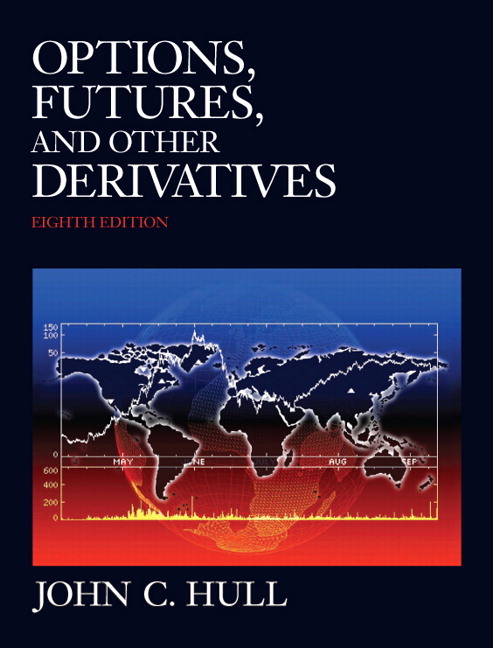 End-of-chapter problems are divided into two groups: “Questions and Problems” and “Further Questions.” Solutions to the Questions and Problems are in Options, Futures, and Other Derivatives 9e: Solutions Manual. Available online to adopting instructors by Pearson, it contains solutions to all questions (both Further Questions and Questions and Problems), notes on the teaching of each chapter, test bank questions, notes on course organization, and some relevant Excel worksheets. Technical Notes elaborate on points made in the text. They are referred in the text and can be downloaded from the author’s web site www.rotman.utoronto.ca/~hull/TechnicalNotes. Not including the Technical Notes in the book has helped to streamline the presentation of material so that it is more student friendly.